As a business owner marketing research is one of those things that you know you need to do. However sometimes it can be difficult to start, because where do you start? The first place you should consider looking is your current website. Understanding the visitors that you have visiting your website will give you significant insight into your customers. The free way to do this is Google Analytics. It allows you to track visitors on your site, see what pages they are looking at and how long the spend on each page. Google Analytics is a powerful tool and has many other metrics that you can look at from the location of the visitor, to how much money they spent in the checkout. You can't get any of this data unless you setup Google Analytics on your site. Here's how. Google Analytics can be setup on any website all you need to do is include the tracking code in the head of your document. 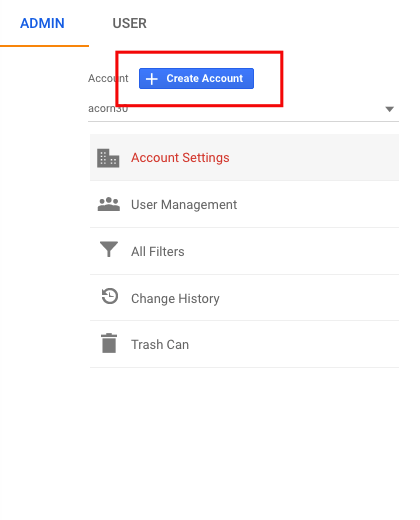 Every Google Account has access to Google Analytics. The first step is to login to this account. If you have a gmail or gSuite email then you already have an Google Analytics account. Head over to Google Analytics and login with your google account to gain access to this. One you sign in, you need to create a new account for your website. After clicking the create account button, enter all of the relevant information about your website. 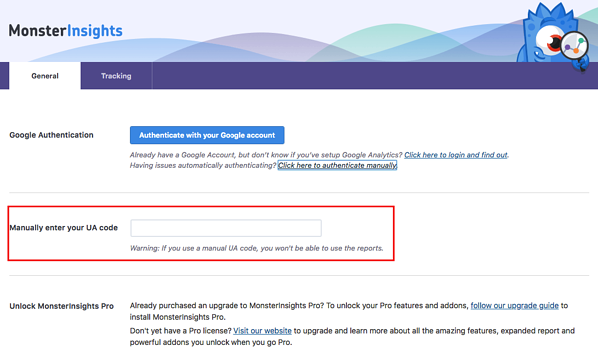 After you accept the terms you will be give your Google Analytics Tracking Code. Once you have your Global Site Tag, you need to copy and paste it above the head tag that looks like </head>. This will ensure that the code fires each time a visitor loads you website. It is important that you have the code appear on all of your pages. Tip: There is often lots of things that appear between the <head> and </head> tag. You don't need to worry about specific placement. Just put your code above the </head> and you'll be fine. If your site is built with WordPress there is a much quicker and simple way to setup Google Analytics. Instead of copying the entire code, only copy the UA code that appears on the Tracking Code page. This code can be given to a WordPress Plugin which will facilitate placing the Google Analytics code, with your UA code on all your pages. Login to your WordPress site and navigate to Add New Plugin. 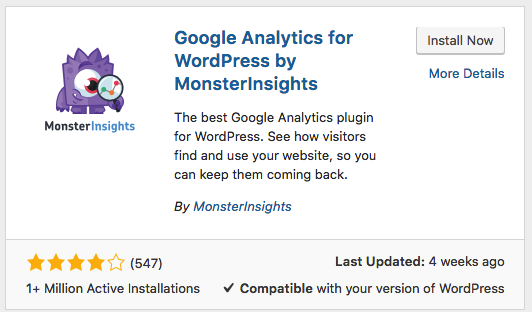 Search for "Google Analytics for WordPress by MonsterInsights" install and activate this plugin. The significant benefit to using a plugin is that each time you create a blog post, or each time you make a new page on your site, this plugin will add the tracking code. You never have to think about putting the tracking code into your page manually again. 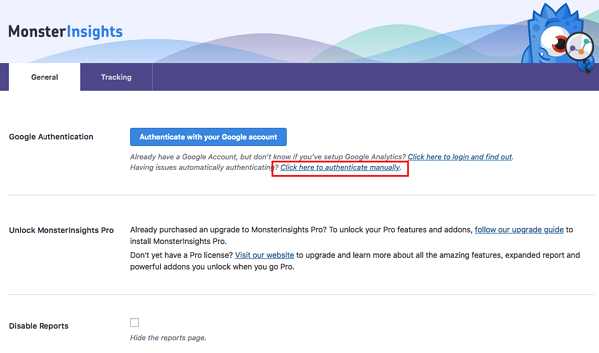 Once the plugin is activate, head over to the settings page and select "Click Here to authenticate manually". Then paste your UA Code in. And you're done! Market research is an important part of understanding your customers. Installing Google Analytics is only one small Free part which means there is no excuses for not having it on your website. However there are many more things that can be done to focus and collect the right information one your website. Don't stop with simply installing Google Analytics, keep going. The more you understand the better you can service your customers. If you need help with these steps, or you'd like to take your on site analytics to the next level, contact us at acorn30 for a free website review. We'll make a plan to get your website setup properly.